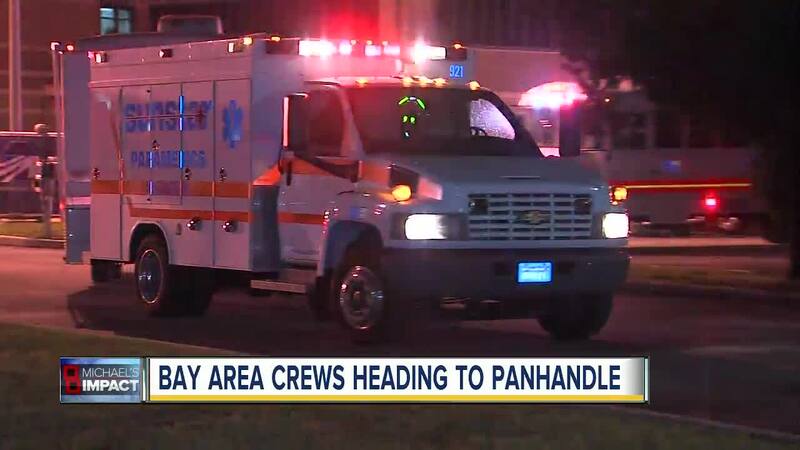 Tampa Bay Area crews are heading to the Panhandle to help those struggling because of Hurricane Michael. 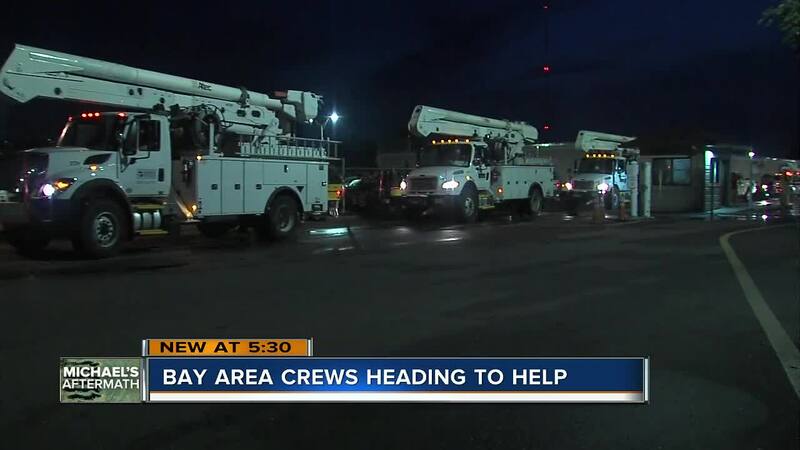 TAMPA BAY, Fla. — Tampa Electric is sending about 285 people to the Florida Panhandle on Thursday to help Gulf Power and the city of Tallahassee restore power after Hurricane Michael battered the region. The linemen and contractors will leave the Tampa Bay area at dawn Thursday for the half-day drive. 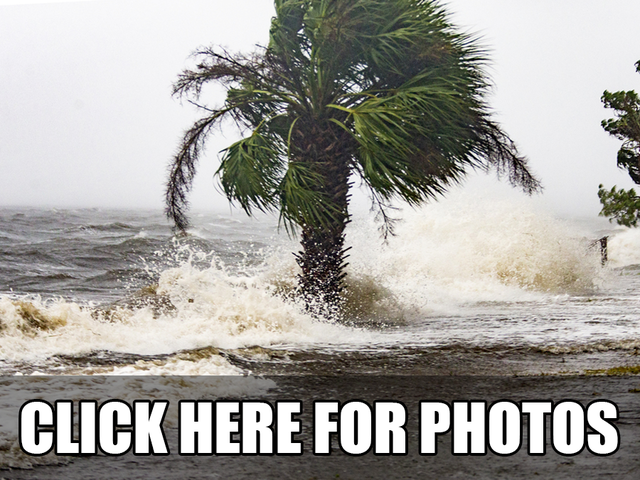 They are prepared to stay for two weeks, TECO officials said. Approximately 14 Pasco Sheriff's deputies will also be leaving to provide hurricane relief support in the Panhandle on Thursday morning. Deputies plan to leave around 4 a.m. In the meantime, Sunstar Paramedics, the 911 ambulance provider for Pinellas County, is sending two ambulance buses and up to five ambulances and 23 employees to the Panhandle to assist with emergency medical services (EMS) response after Hurricane Michael. They are prepared to stay two weeks and will assist with transporting victims to and from the hospital. However, challenges include getting through impassable roads, power lines and other hazards left behind because of the storm.